A matching band that is designed to go next to one of our personal favorite rings, the Police Box Ring. 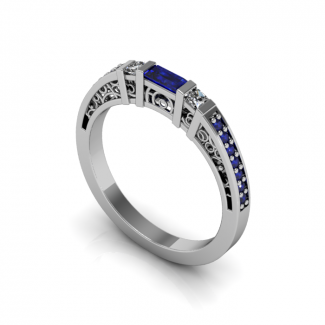 We wanted to match more than just the original ring, we also wanted to add more of that whovian element to the ring. 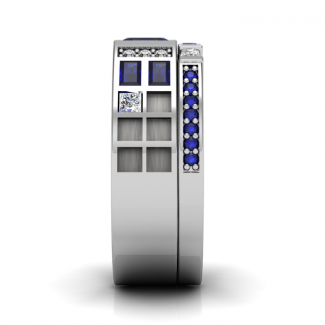 Something which, by itself has the look of modern elegant design, but to others of the same interests will recognize the hidden symbolism. 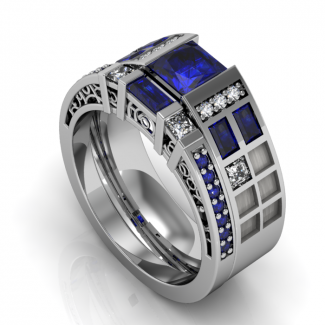 The gallery of the ring has circles and ripples inspired by the circular writing of the Gallifreyan civilization. Matching Band to the Police Box Ring, the ring is set with one straight blue sapphire baguette fortified by two white princess cut diamonds or optional CZs. 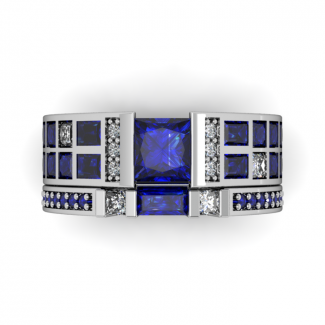 The sides of the ring have a total of 14 small round sapphires. 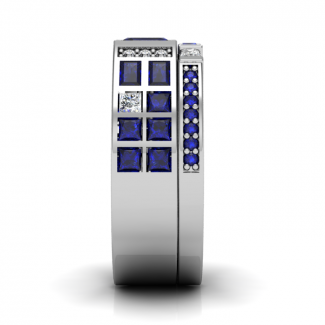 The ring is available in sterling silver or white gold. 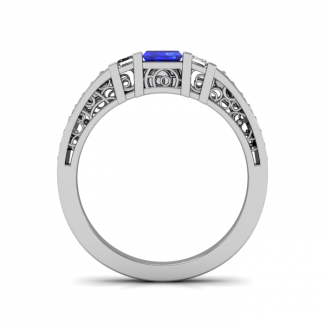 This page is only for the matching ring and the Police Box Ring or the Grand Police Box Ring are not included and will need to be purchased separately if needed.